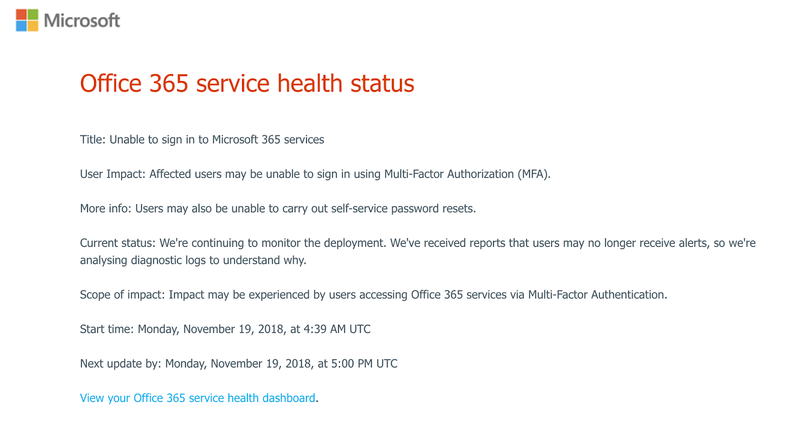 Microsoft Office 365 is experiencing an outage for all users with multi-factor authorization. 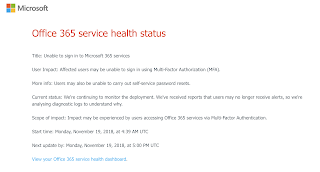 Check the Microsoft Office 365 status web page for updates. The current status report as of this blog's publication.